If you are not ready for a full face lift, but you’re no longer satisfied with the results of topical creams and lotions, Laser360 is your perfect option. Laser360 treatments are the ideal choice for improving your skins’ color, tone and texture. Dr. Flugrad will combine three different technologies into a treatment plan that will be customized exclusively for you. 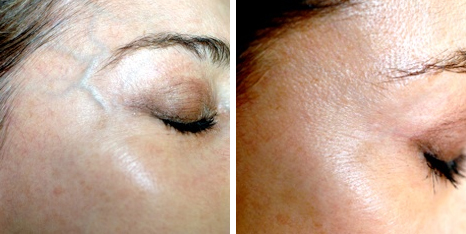 The Laser360 treatment reveals brighter, younger, and healthier – looking skin from inside out. It treats fine lines and discoloration from deep in the skin to give you a lasting new revitalized look. Skin Resurfacing – Laser360 stimulates new collagen to grow, which improves you skin’s texture and tone for fine lines and wrinkles. 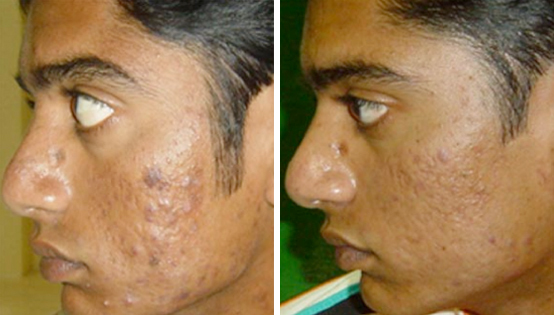 This treatment creates thousands of tiny perforations in the skin, similar to pore sizes. The skin around each of these perforations remains intact, and the skin’s top layer rapidly heals form the edge of these tiny holes. Skin Tightening – Laser360 firms up any loose skin around the eyes, nose and jaw so you regain a more youthful, contoured appearance. This treatment uses near-infared light to create deep heating of the body which facilitates the skin’s remodeling. Skin Color and Texture – Laser360 evens out your skin’s color and reduces any tiny broken blood vessels. With the use of focused light a broad spectrum of color irregularities in the skin can be treated successfully. Safe and Comfortable – The Laser360 treatments are safe, comfortable and effective without injections, surgery or downtime. You can expect your skin to be somewhat flushed after the treatment, similar to a mild sunburn, which should subside in about 48 hours. Our office uses the latest Erbium 4.0 Dual RF Yag to do microlaser peel. Healing takes 2-3 days with the symptoms resembling sunburn. Redness will begin to fade by the third day and easily covered by makeup on the fourth day. How does the Harmony get rid of my hair? The Harmony uses gentle light to damage the hair follicle. This disables the follicle from growing hair, which means that gradually over several treatments, there is a permanent reduction in the amount of hair in that area. Is treatment with the Harmony safe? Treatment is very safe for the skin. There are many advances in the Harmony technology that make it one of the safest hair removal systems available for all skin colors. There is no long term health hazards from light used in the Harmony. It has been used for decades in medicine, surgery, and aesthetics without adversity. What kind of results can I expect from Harmony treatment? Most patients achieve satisfactory results after 5 treatments. The treatments are usually performed every 2-3 months, but this depends on individual factors that Dr. Flugrad will discuss with you during your consultation. The sensation is often described as “hot pinch”, or “snapping” feeling. The sensation only lasts for fraction of a second, and you may feel warmth or a tingling sensation for a short time afterward. Most people tolerate treatment without any topical anesthetic cream, which may be used to numb the skin from feeling sensation for very sensitive individuals. Who should get Harmony treatment for hair removal? Anyone who wants a solution to shaving, waxing, plucking, or electrolysis. There are a few medical conditions that contraindicated people from treatment which will be discussed with Liliana during consultation. Spider Veins or ‘Starbursts’ are easily removed with our laser technology. These veins are so named because they are just beneath the skin and often radiate out from a central point, just like the shape of a spider. They can also appear as fine separate lines, as a web like maze. 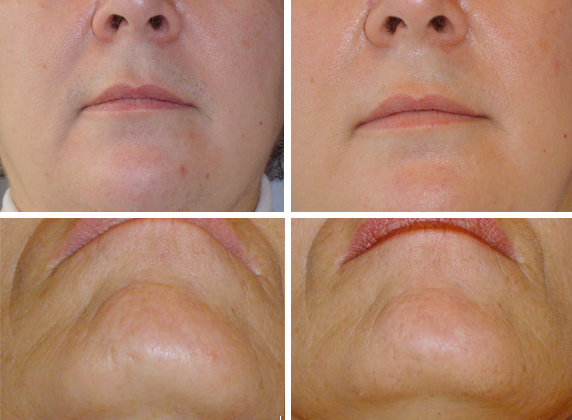 Spider veins on the nose or cheeks, can easily be taken care of with our Alma Laser Systems. This is a lunch time procedure that takes only minutes, and has no downtime or recovery period. Our IPL (Intense Pulsed Light) system can improve facial spider veins, Rosacea, and brown spots. Spider veins are usually eliminated in one to two visits. Brown spots might take a couple more visits. Pixel 2940nm Er:YAG Module is an FDA-approved fractional ablative skin resurfacing laser that represents a new option to perform skin resurfacing on aged and photo-damaged skin: it’s a safe and effective treatment with no patient downtime, and no gel or consumables required. The Pixel represents the best of both worlds for skin resurfacing: it combines the proven effectiveness of an ablative approach with the patient comfort level and convenience of a non-ablative approach. The Pixel delivers results on par with ablative lasers, but it eliminates possible side effects of ablative treatments such as hypo- or hyper-pigmentation, post-operative infection, swelling, erythema or edema. In addition, it can be used on the face, neck, chest, arms and hands-a much wider scope than the traditional ablative technologies. Skin resurfacing with the Pixel is a gradual process that happens over several treatments. Patients will find the skin around the treatment area feeling firmer and tighter, with a smoother surface texture. You will not need analgesics or pain medication with the Pixel, and can return to work immediately after treatment. Cosmetic flaws may be caused by heredity, medication, pregnancy or environmental factors. Yet most vascular and pigmented lesions are ideal candidates for non invasive AFT pulsed light treatments. The widest range of benign vascular lesions, like port wine stains, telangiectasias, hermangiomas, erythema, rosacea and poikiloderma of Civatte can be safely and effectively treated with AFT pulsed light. In addition, pigmented lesions like lentigos, seborrheic keratoses, café-au-lait, ephelides and dyschromia can be treated. AFT’s selective pulsed light energy is precisely absorbed by the target areas, without damaging healthy skin. Selectively heating and closing off blood vessels, AFT pulsed light reduces the lesions, while sparing nearby tissue from injury. With pigmented lesions, the light energy heats the melanin in the lesion and causes it to fragment. The melanin fragments are then absorbed by the body and eliminated. By providing smooth, consistent light pulses, the energy delivered to the skin is gentle and effective. What are benign vascular and pigmented lesion? Benign vascular lesions, red in color, are caused by an abnormal clustering of blood vessels. 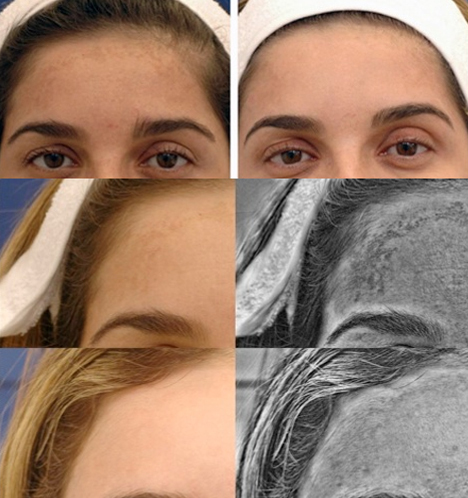 Pigmented lesions (nevi), less widespread, are clusters of melanin in the skin and are brown in color. While some lesions may fade, others become more pronounced over time. Patients must consult with Dr. Flugrad to determine their course of treatment. He will set treatment plans according to the characteristics, such as size and location, of each patient’s lesions. Most lesions can be treated with half an hour, and for best results, repeated treatments are required. Before treatment, a cold gel is usually applied to the area to be treated. Then, the physician delivers precise pulses of light to the target area. Patients report little or no pain with AFT treatment, and can return to their normal activities immediately. AFT’s high levels of light and gentle energy parameters assure safe, effective treatment. Uniquely shaped AFT pulses precisely heat their intended targets, causing remarkably little or no skin damage or discomfort. This optimal use of energy both increases safety and eliminates the need for cooling methods. Clinical trials conducted by leading authorities on pulsed light document its safety and effectiveness. While pain tolerance is an individual matter, most people tolerate AFT pulsed light treatment well, and describe the sensation as a rubber band snap to the skin. The majority of patients require no anesthesia, though topical anesthetic is an option for sensitive areas. 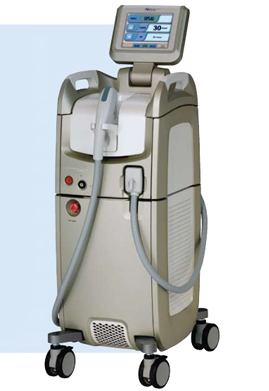 The AFT Pulsed Light Advantage Traditional treatments for removing or reducing the appearance of vascular and pigmented lesions are often long-term and uncomfortable. Frequently-administered corticosteroid medications can have undesirable side effects. Cryosurgery can not be used in many cases. Surgery and treatment with ablative lasers can be painful and may cause damage and scarring to adjacent body areas. In addition, unlike AFT, nearly all conventional treatments require an extended healing period, preventing patients from resuming their daily routines. In contract, AFT treatment requires no down-time, and can be used to treat many types of vascular and pigmented lesions quickly and painlessly.